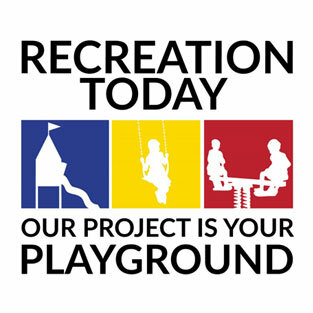 Park and playground solutions for your organization: Recreation Today is proud to offer park and playground solutions that provide services and amenities for your recreational areas. Besides playground equipment, benches, trash receptacles, bleachers, sports equipment, shades and shelters, we can provide many services, such as safety inspections and maintenance! Playgrounds are a wonderful addition to your school, park or other type of organization where you are looking for an opportunity to meet the needs of the children who need to learn hand-eye coordination, social skills and just get out and play! Does your playground include equipment that will assist the children playing there to development their social, emotional, physical, and cognitive skills. You may also want to build your playground so that children of all ages and abilities can play together. ADA accessible playgrounds allow children to play together and learn the social skills and abilities they need throughout life. ADA accessible playgrounds also allow parents and caregivers who may be mobile with a walker or wheelchair to get to their children who are playing on the playground. Follow the links below to find out more information about what we can do for your organization.